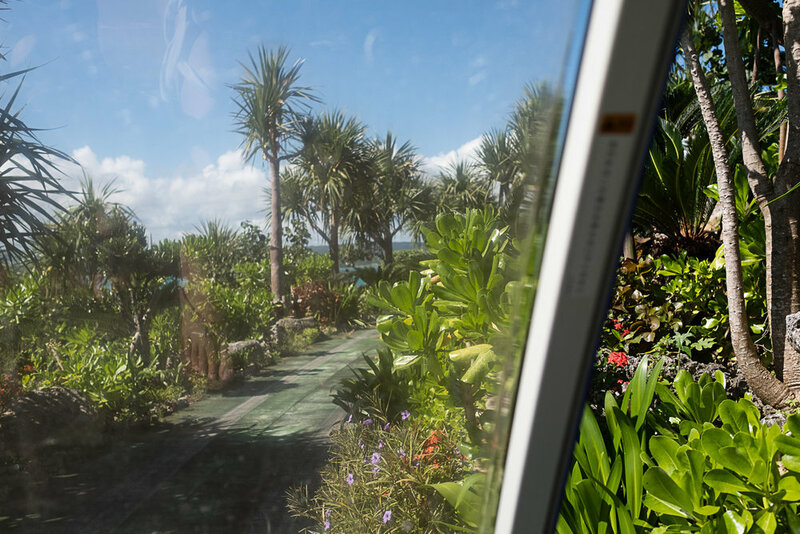 On a fine Saturday in September we drove about as far north as you can get on the western, Motobu, peninsula of Okinawa, to Kouri Island. 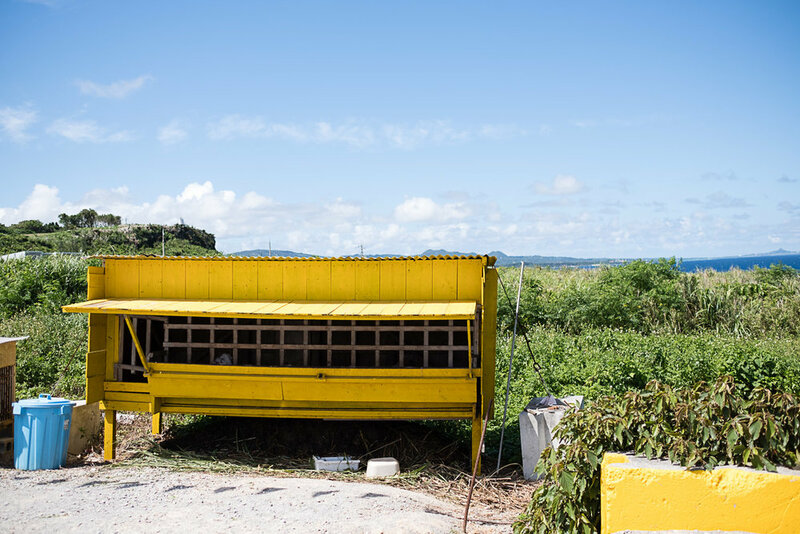 Kouri is connected by a fine sliver of a bridge, and boasts a few beautiful beaches, campsites, pineapple fields, the myth-inspiring Heart Rock, and Ocean Tower. Now let me tell you, I have never been to someplace like Ocean Tower. It’s a white tower overlooking the ocean, accessed by an intricate automatic golf cart ride (how DO they do it??) through lush tropical vegetation. Nothing to do but sit back and listen to the English audio explain Kouri island as the golf carts inch up and up. You’d be surprised how hard it is to take a good picture from a golf cart only moving about 1.5 mph, or about as fast as a baby crawls. But the views!!! 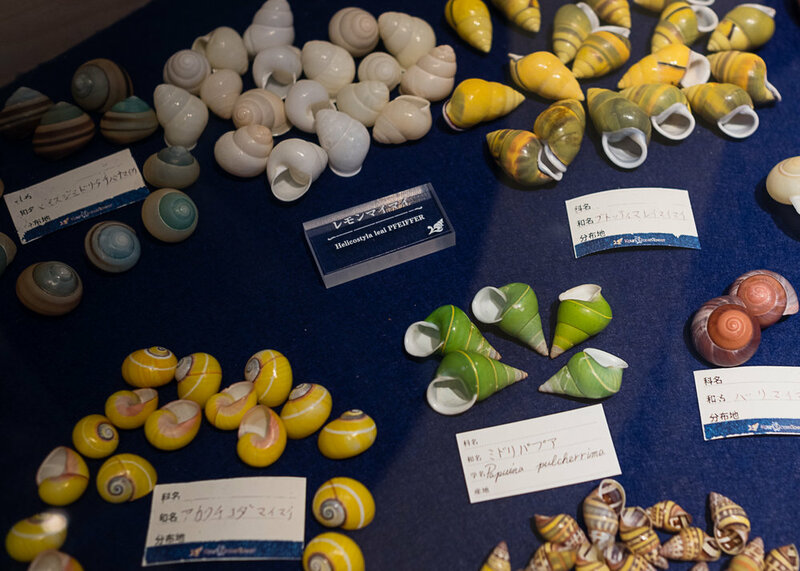 At the top, you’re gently guided through an extensive and interesting shell museum, all found on or near Kouri. The boys really enjoyed looking at all the shapes and colors. We knew there was a large group coming after us though so we hurried through. There’s a restaurant connected, and an elevator and stairs to take you to both enclosed and open viewing decks. Of course everyone had fun ringing the bell, ONCE and we couldn’t get over the blue of the waters around us. The tower really gives you magnificent views and is really fun to get up to. I recommend it for a fun jaunt north for families. Continuing to drive north around the island, you hit the sort of ridiculous Instagram/selfie spot that is Heart Rock. The beach itself is really small, and what is even more ridiculous, if you happen to miss the sign explaining the “heart” at the head of the trail, you’ll spend all your time looking at the wrong thing. The heart is not made of one weather-beaten rock, but two, which at low tide, from a certain angle, show a perfect upside-down heart shape. We were the only ones to notice this (thanks to Knox telling us about the sign) and we could take pictures free from all the selfies going on from the wrong angle! We were there at high tide, the waves were rough, and it was extremely underwhelming. Just another show I chalk up to this phenomenon I call IG travel - going to a spot JUST to get a picture of yourself there. The place really holds no other draw, other than some cute goats in a pen - a typical Okinawan addition to any attraction. 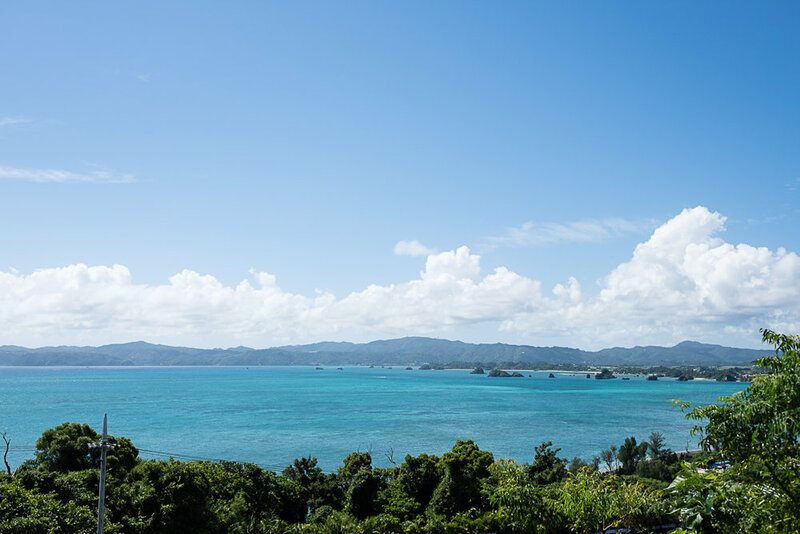 In all, we couldn’t have asked for a more gorgeous day to visit Kouri, I wish we’d had time to try a cafe or so, or camp out on the secluded beach site, but that will have to be the next visit. 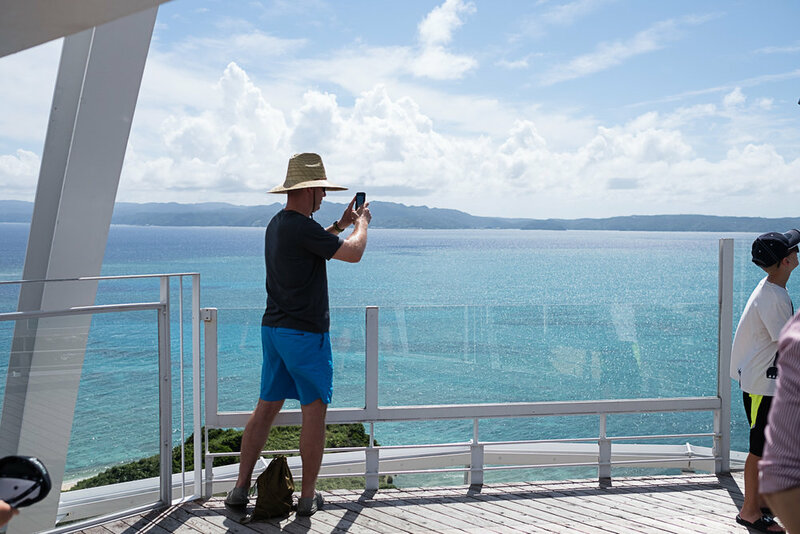 Heart Rock was supremely missable, BUT if it is a goal to hit some of these Okinawan IG sites, then go for it. It was pretty fun to people watch and look for the famous Kouri heart shells or any other hearts that appear all around us if we just keep our eyes open.